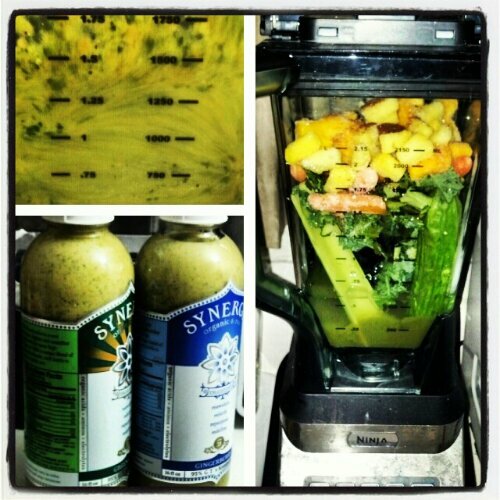 This Savory Green smoothie is a bomb treat on a rainy day. Add a little more lemon juice though and it is perfect treat any day! Combine all Ingredients in a blender. I have a ninja blender and love it!! Juicers are bomb, but so is all the good fiber you get from the pulp! If you save old kombucha containers, you have a nice glass jar to drink your smoothie from! !